Peace Bonds and Restraining Orders refer to the same type of court order. The proper legal term in criminal law is Peace Bond. 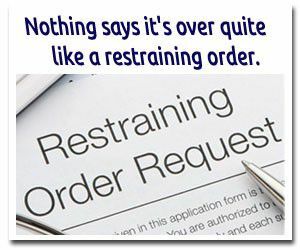 In Family Law proceedings, the term used is Restraining Order. Peace Bonds essentially come in two forms: Under Section 810 of the Criminal Code, a judge or justice of the peace can order a person to keep the peace and be of good behaviour, as well as abide by other conditions (such as non-contact with specific named individuals), if satisfied that the complainant has reasonable grounds to fear for his or her safety. A violation, or breach, of a condition of a peace bond is a criminal offence called fail to comply with a recognizance. Peace Bonds can also be ordered at common law, i.e. as part of the judge’s inherent jurisdiction to prevent a breach of the peace. It is unlikely that a conviction will follow for a violation of a term of a “common law” peace bond. In many domestic assault prosecutions, The Criminal Law Team has succeeded in negotiating the withdrawal of charges in exchange for a Peace Bond. A Peace Bond is not a criminal record, although the police will be aware of whether a person they are investigating is subject to the terms of a peace bond. Many times, there will be a condition that the accused not be allowed to have contact with his or her spouse or significant other, unless the partner provides consent in writing to do so. In many other prosecutions, The Criminal Law Team has been able to negotiate a peace bond in exchange for the withdrawal of charges alleging violence or assault. Do you need a Peace Bond Withdrawn? The Criminal Code also contains the offence of fail to comply with recognizance in relation to a violation of a condition of a peace bond imposed on a person who, on reasonable grounds, there is a fear that he or she will commit a specific sexual offence. Once ordered, the person is usually ordered to stay out of places where, for example, children normally attend such as school playgrounds, parks, recreation centres and public swimming pools. Many times, a condition is added that the person is not allowed to be in the company of someone under the age of 16 or 18. If convicted of a breach of this type of peace bond, the penalties are usually quite severe. The Criminal Law Team recognizes that persons subject to these types of peace bonds may be in need of treatment or care. We offer access to the professional help and support in the community of psychiatrists, psychologists, social workers, and therapists.